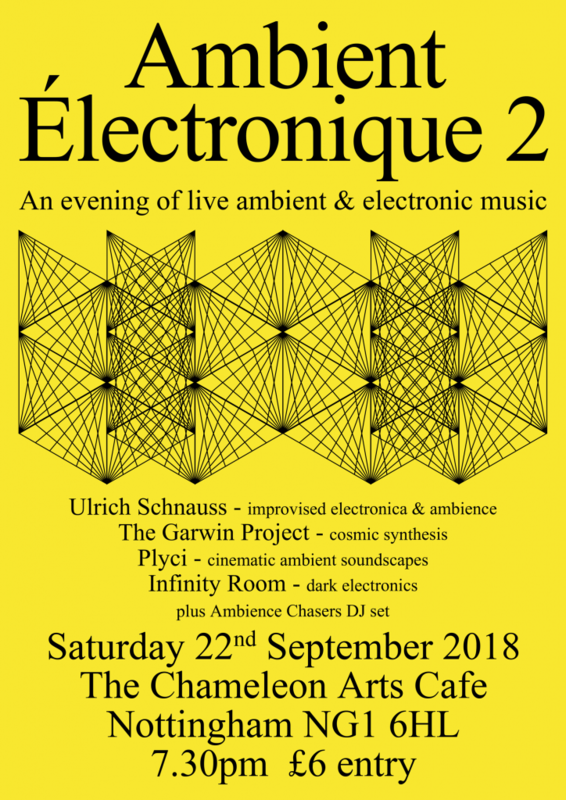 Ambience Chasers is heading to Nottingham for a special night at The Chameleon Arts Cafe on Saturday, September 22 called Ambient Électronique 2. The event has been put together by our Nottingham-based friend Plyci, who will also be playing live, alongside one of Ulrich Schnauss’ incredible improvised sets, plus The Garwin Project and Infinity Room. Ulrich will also be on the decks as part of the Ambience Chasers DJs. Doors open at 7.30pm and tickets are £6 on the door. More info on the Facebook event.